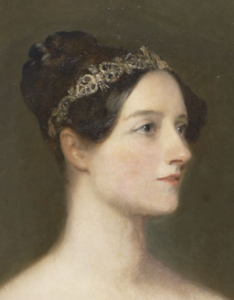 On Tuesday, 11th October 2016 the University’s Main Library will once again be running a Wikipedia editathon to celebrate Ada Lovelace Day 2016. This is an international celebration of the achievements of women in science, technology, engineering and mathematics (STEM). The event will commence at 10am with presentations from a range of guest speakers, followed by what are described as ‘fun technology activities’ from 11am until 1pm. In the afternoon, full Wikipedia editing training will be on offer from 1-2pm, followed by the editathon itself from 2-5pm. This will focus on improving the quality of Wikipedia articles that relate to women in STEM. The Library Café is nearby for a spot of lunch between the morning and afternoon events. Suggestions for notable Women in STEM who could – and should – be represented on Wikipedia are most welcome, so do feel free to suggest names of notable women we could include as part of this day of celebration. Full details of the event may be found here. This entry was posted in Conferences and tagged ada lovelace, STEM, wikipedia, women by adonnelly. Bookmark the permalink.